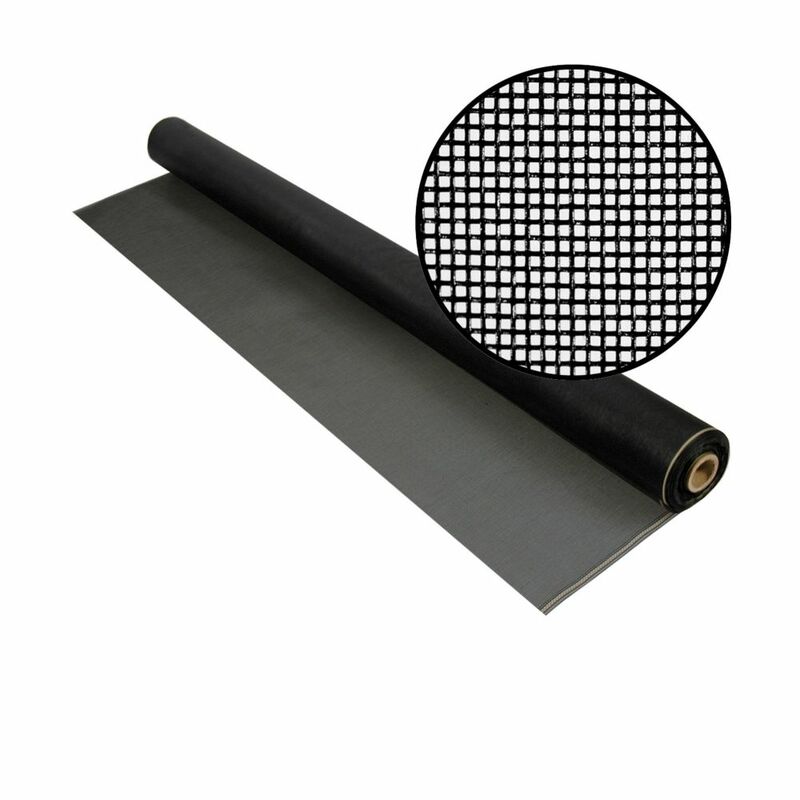 Phifer Black Aluminum insect screen is a precision woven and uniform coated screen. Durable and weather resistant, this screen is ideal for all your window, door and porch applications. The consistent finish enhances curb appeal. 36-inch x 100 ft. Fiberglass Charcoal 20x20 Mesh Screen This slightly tighter woven mesh is designed to control small insects----gnats, no-see-ums and small mosquitos. While a tighter mesh, this screen still allows good ventilation and visibility and provides some daytime privacy. Phiferglass is woven from permanent glass yarn, then coated with a protective vinyl to ensure lasting beauty, colour and flexibility. 36-inch x 100 ft. Fiberglass Charcoal 20x20 Mesh Screen is rated 4.0 out of 5 by 2. Rated 3 out of 5 by Tsachs from Average screen. ... Average screen. Rated 5 out of 5 by dzuv from This is excellent screening material. The product is easy to work with and very durable.